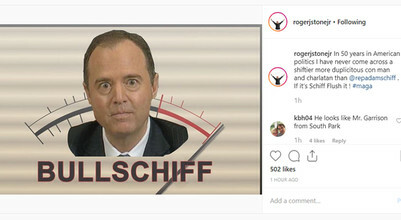 Former federal prosecutors and legal experts told Newsweek that while his latest Schiff Instagram post may not constitute an explicit violation of his gag order, the man described as a GOP "dirty trickster" is on the verge of crossing that line. "It's not clear, but Roger Stone is venturing much closer to the line than I would advise him to do if he were my client," said former federal prosecutor Renato Mariotti. "He is playing with fire."